I think it's all through the link if not in the above image itself. I like awards with cash prizes. 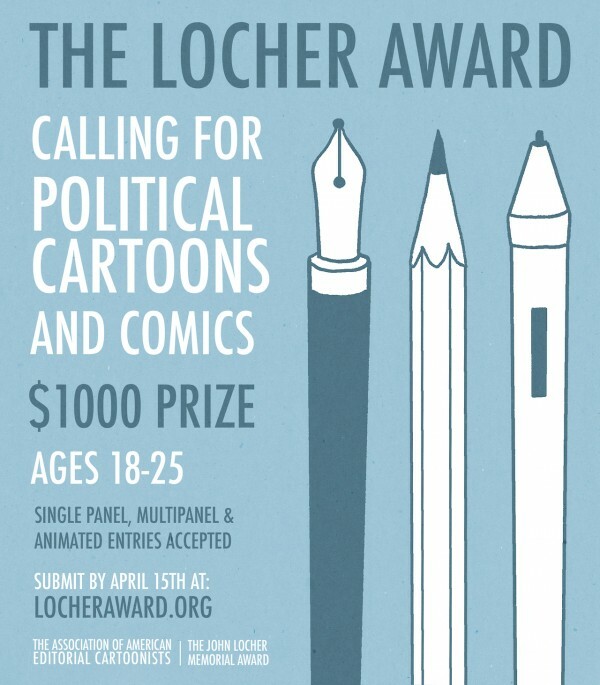 This is for cartoonists 18-25, and as editorial cartoonists are becoming more rare I figure any encouragement to someone working this area at that age is a great thing.